Ivor Cummins BE(Chem) CEng MIEI completed a Chemical Engineering degree in 1990. He has since spent over 25 years in Engineering Expert and Technical Manager positions. He has worked in the Medical Device, Special Purpose Equipment and Electronic Component industries. His primary specialty is in complex problem-solving theory and practice. He was recently chosen as one of six finalists for Chartered Engineer of the Year, from over 500 applicants in 2015. Following poor blood test results several years ago, Ivor could not get straight answers from the several doctors he consulted. He realised that they did not understand how to interpret his results, or what to do about them. Drawing on his Biochemical Engineering background, he began to intensively research the field of human metabolism and disease. Accessing hundreds of peer-reviewed papers and other data from the past 100 years, he decoded the technical complexity of our current nutritional mess. Following the research he resolved and optimised all of his blood metrics over a period of 8 weeks. He also dropped 30lbs of weight with ease. Zoë Harcombe is a Cambridge graduate and author of six books including “Why do you overeat? When all you want is to be slim?” (2004 & 2013); “Stop Counting Calories & Start Losing Weight” (2008) and “The Obesity Epidemic: What caused it? How can we stop it?” (2010). Zoë has a PhD in public health nutrition. Her thesis was entitled “An examination of the randomised controlled trial and epidemiological evidence for the introduction of dietary fat recommendations in 1977 and 1983: A systematic review and meta-analysis.” A number of peer-reviewed articles have emanated from this work and more publications are in submission. Appearing regularly on UK radio and TV, regionally and nationally, Zoë has had the opportunity to participate in: Sky News; Steve Wright in the Afternoon; Radio 4’s The Food Programme; ITV’s Tonight programme; and BBC Newsnight. Further afield, she has been interviewed by America’s Fox News and Cape Town radio. Zoë has written for most national UK newspapers and magazines. Zoë passionately believes that current dietary advice is wrong and that populations need to return to eating the real food that we ate before we had epidemics of obesity and diabetes. Apparently this is a controversial proposition! Zoë shares her views at conferences worldwide and in her highly-accessed diet and nutrition blog (www.zoeharcombe.com). Zoë lives with her husband and rescue animals in the Welsh countryside surrounded by food, a.k.a. sheep, hens and cows! Dr. Campbell-McBride graduated with Honours as a Medical Doctor in 1984 from Bashkir Medical University in Russia. In the following years she gained a Postgraduate MMedSci Degree in Neurology. After practising for five years as a Neurologist and three years as a Neurosurgeon she started a family and moved to the UK. Soon after, her son was diagnosed autistic, which prompted an intensive study into causes and treatments of autism. It was during this time that Dr. Campbell-McBride developed her theories on the relationship between neurological disorders and nutrition, and completed a second Postgraduate Degree in Human Nutrition at Sheffield University, UK. She practices in the UK as a nutritionist and not as a medical doctor. Having treated her son off the autistic spectrum, Dr. Campbell-McBride returned to practice in 2000 and runs the Cambridge Nutrition Clinic. As a nutritionist she has specialised in using a nutritional approach as a treatment, and has become recognised as one of the world’s leading experts in treating children and adults with learning disabilities and other mental disorders, as well as children and adults with digestive and immune disorders. In 2004 she published her first book Gut And Psychology Syndrome – Natural Treatment Of Autism, ADHD, Dyslexia, Dyspraxia, Depression And Schizophrenia where she explores the connection between the patient’s physical state and brain function. The book gives full details of the GAPS Nutritional Protocol, which is highly successful in treating patients with learning disabilities and other mental problems. At the end of 2007 her second book was published – “Put your heart in your mouth – What really causes heart disease and what we can do to prevent and even reverse it”. Dr Campbell-McBride is a keynote speaker at many professional conferences and seminars around the world and has been a very popular speaker at the previous Irish WAPF conferences! She frequently gives talks to health practitioners, patient groups and associations. She is also a Member of The Society of Authors, The British Society for Ecological Medicine, and is a Director on the Advisory Board of The Weston A Price Foundation. She has contributed to many books on nutrition and is a regular contributing health editor to a number of magazines and newsletters. Sam Feltham has been in the health and fitness industry in the UK for over a decade. Starting out as a party co-ordinator at a sports centre, he worked his way up to studying at the European Institute of Fitness to qualify as a Master Personal Trainer. After 5 years of running a national fitness boot-camp business, Sam decided to move away from the fitness industry in order to fully focus on improving public health by setting up and directing the non-profit organisation Public Health Collaboration, whose mission is to inform and implement healthy decisions for better public health. Philip Weeks is one of the leading natural health experts in the UK. He is a master herbalist, registered acupuncturist and naturopath and has been working as a consultant with adults and children for over 15 years. He is the author of two books – Make Yourself Better, and Painful Bladder Syndrome. We are delighted to have Philip return after his very popular talk at the 2016 conference. Jim Cronin has been gardening in Co. Clare from his early childhood and is now known to many as a leading expert in organic horticulture. He is a mine of information and advice on all aspects of growing organically, with a lifetime of experience and a deep love of working in co-operation with nature. He firmly understands that nutritious food comes from nutrient rich soil. Jim is also an advocate of local and sustainable agriculture supplying local shops and co-ops. He runs much sought after courses from his farm each year. We are delighted to welcome Jim to the WAPF Ireland conference this year! Neville Wilson is currently Clinic Director of the Leinster Clinic, an Integrative Health Clinic in Maynooth, and heads the Medical and Surgical Division. He also provides services in General and Sports Nutrition, having completed a MSc degree in Exercise & Nutrition. He is currently engaged in a PhD course in Quantum medicine. Neville is a former South African Airforce pilot who gave up flying in response to a call to Christian service and medical practice, and is trained in theology, surgery, medicine, nutrition and natural health. He has held medical appointments in South Africa, Australia and Canada prior to his arrival in Ireland 12 years ago. For more than a decade Neville has challenged the conventional medical views and policies about fats and carbohydrates, and has written extensively, as well as presented seminars, nationally and internationally, on the subject of beneficial dietary fats for optimal health. Neville believes that the prevailing medical paradigm is severely limited by its singular focus on disease, rather than on opportunities, and the potential, for creating health and promoting optimal wellness. Barbara graduated with a Bachelor in Holistic Health Sciences through the International Quantum University of Integrative Medicine, and is currently studying for her Masters Degree in Natural Medicine. Barbara is Board Certified with the American Association of Drugless Practitioners. Barbara has had an abiding interest in health and well-being. Her expertise made a paradigm shift when she became familiar with Medicine from a Quantum Physics perspective. Attending the World Congress of Quantum Medicine in Hawaii in 2016 opened up a cornucopia of holistic and integrative modalities from a Quantum Medicine perspective. Nutrition and Physical Activity – University of Pittsburg. Nutrition, Health and Lifestyle – Vanderbilt University. Bacteria and Chronic infections – University of Copenhagen. Human Physiology – Duke University. Exploring the Microbiome – Univ of Colorado, Boulder. Genes and the Human Condition – University of Maryland. Brendan is a qualified Nutritional Therapist registered with the professional governing body the Nutritional Therapists Of Ireland (www.ntoi.ie). 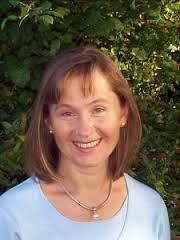 He holds a Diploma in Nutritional Therapy, and a Masters of Science Degree in Personalised Nutrition. He is a member of the Weston A Price Foundation since 2001 and a co-organiser of the Wise Traditions Ireland conferences. Brendan also teaches nutrition and supervises clinical training at the Irish Institute of Nutrition & Health (www.iinh.net). Maya comes from a corporate background but through her own health story and a real passion for food, she discovered that her true vocation is helping people through using food as medicine in chronic health conditions. She is now a WAPF Galway chapter leader, Nutritional Therapist, GAPS practitioner, and is currently undergoing training in Functional Medicine. She values traditional solutions used for centuries in the form of classical naturopathy, Ayurvedic and Chinese medicine, ancestral diets and natural movement, which she combines with modern Functional Medicine methodologies. Her special interest is gut microbiome and its effects on human physiology and behavior. Hi Sarah, follow the link on the TICKETS page please.